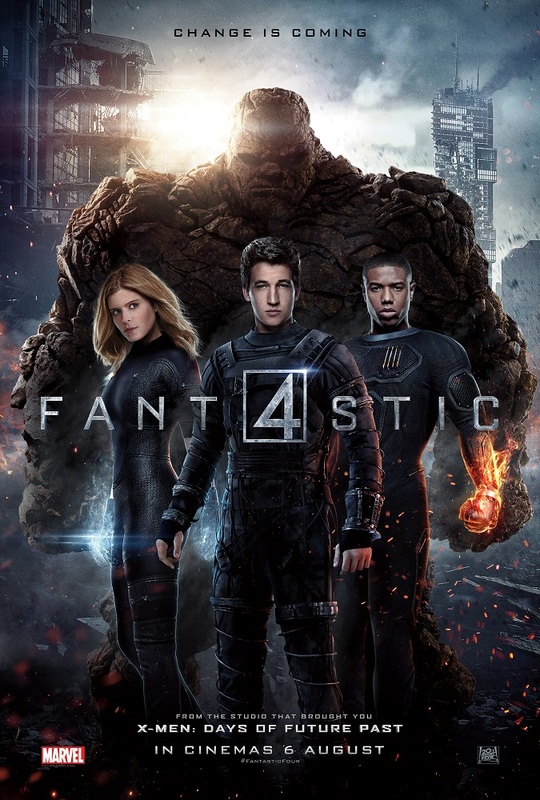 Based on one of the oldest Marvel comic titles, this is a 20th Century Fox reboot of the Fantastic Four film franchise (2005 – 2007) that many would agree was horrible. Disappointingly, this adaptation isn’t that much better than the previous one although it is more tolerable with redeeming qualities that the sequels can salvage. However, the audience must first accept and forget the flaws in this one. 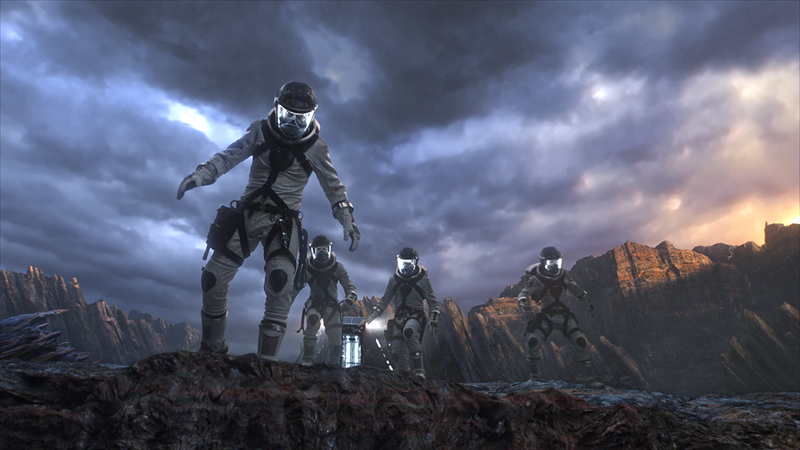 Don’t expect a lot of action as it takes most of its time with exposition and development from the very beginning. Screenwriters Simon Kinberg (Ouija, X-Men: Days of Future Past) and Jeremy Slater along with director Josh Trank (Chronicles) have made major changes to the origin story, closer to the newer Ultimate comic version, which immediately distinguishes itself away from the previous adaptations. The main characters here are teenagers instead of grownups, and they got their unique powers from an alternate dimension of Earth they call “Zero” instead of the outer space. Since I was never a really a fan of comics, I actually didn’t mind these changes at all and in fact, I find it believable and more workable for a film adaptation. The narrative mostly follows Reed Richards / Mr. Fantastic (Miles Teller) as the film starts with his story when he was a kid where he meets his best friend Ben Grimm / Thing (Jamie Bell). Richards is a kid genius who manages to build a teleporter in his garage. Years later at a science fair at his high school, he catches the attention of Dr. Franklin Storm, the father of Johnny / Human Torch (Michael B. Jordan) and the adoptive father of Sue / Invicible Woman (Kate Mara), a major change to the origins which upset some of the fans. Franklin is the head of a project that intends to send people to Zero and Richards is recruited to complete the teleporter. The project was started by Victor / Dr. Doom (Toby Kebbell) who was once a kid genius too and generally hates the government and people, except Sue and Franklin. Each of them will get their own unique super powers after an “accident” — Richards with the ability to stretch every part of his body to different lengths and forms, Grimm will turn into a body of stones with super strength and indestructibility, Sue with the ability to become invisible and create force fields, and Johnny with the ability to burn in flames, fly at high speed and throw fireballs. Thanks to the performances of the actors, there is this unspoken connection between the characters that can be felt. I like how the film doesn’t rush the romance between Mr. Fantastic and Invisible Woman, and Victor’s subtle rivalry against Richards. However, the horrid dialogues, predictable moments, rushed developments and inconsistent tone (from indie-like to utterly cheesy) have ruined the potentials that the film had. Miles Teller (Whiplash) plays the young innocent nerd Reed Richards very well but his dialogues and scenes with Jamie Bell’s (Snowpiercer) Ben Grimm is so limited, that Teller repetitively mention “you’re my best friend” as reminder of how close their relationship is. There’s also no clear development to Victor’s drastic transformation into the powerful villain. It felt that Victor’s a better character before he becomes Dr. Doom. There are a few more key parts that progress too casually as well. In terms of humour, there are a few chuckles but where’s the designated comic relief? 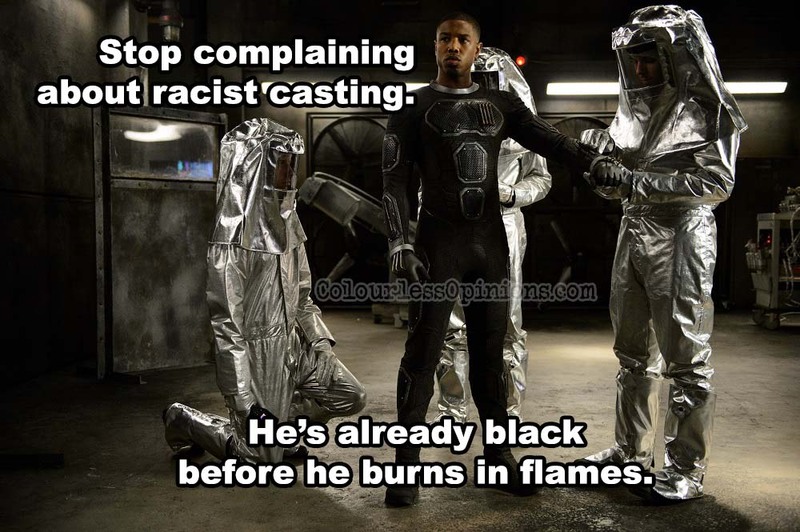 As corny as Chris Evan’s Johnny Storm / Human Touch was, the portrayal here by Michael B. Jordan (Chronicle) isn’t as energetic, fun and cool as the character needed to be. Although the film spends most of its time developing the characters and their relationship, it still feels a little rushed and in the end, there’s just not enough action to satisfy as a superhero flick. There isn’t single memorable cool moment in the movie that people would talk about, which is a total waste of director Josh Trank’s own expertise. The final battle against you-know-who is just too simple and the CGI isn’t fantastic (many fans already noticed from one of the trailers where Thing throws a tank and simply disappears completely after it hits the ground and explodes). The fully computer-generated Thing does look way better than man in costume, but his presence is not as strong here. The final third and the last scene are so suddenly cheesy, I cringed. Post-credit scene: There was none shown at the press screening. This is not tied to the Marvel Cinematic Universe but please do let me know if the public screening does. Malaysia censorship: The only thing I could think of that might get censored is the middle finger gesture by one of the characters. Invisible Woman doesn’t need to be naked to go invisible. She’s no Jessica Alba anyway. Second opinion: None this time as I watched it alone. Verdict: Very weak compared to all the other recent superhero flicks. Honestly, I felt this reboot was worse than the two before this.